“Today I went to a shell grotto. A shell grotto. 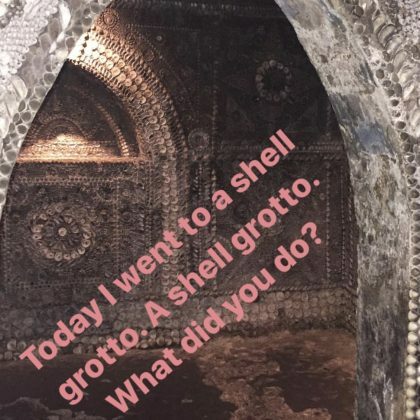 What did you do?” is what Alexa Chung asked when she visited Shell Grotto, Margate in January 2018.